As the newest member of the Sassafras team (who also happens to be brand new to the ITAM/SAM industry as well), I really didn’t know what to expect when I flew to Tampa to attend the ITAM Review Conference last week. Over the last month, I’ve read a lot about the industry, its practices, and our own software offering (K2 KeyServer), but this was my first chance to meet ITAM professionals out in the field. Now that I’m back in the office, I thought it might be worth letting you know what I walked away with. ITAM is weird. What if a musician said you could only listen to a cd you purchased on two devices, and that you’re not allowed to let your friends listen with you. Or imagine if Ford decided that you could only drive your car on certain roads, to certain locations, and that they had the right to search your GPS at any time for evidence that you went somewhere else? Oh, and if they catch you, they have the right to take the car back and force you to pay back any rebates you were given when you bought it, in addition to the fines and fees they were going to charge you. So weird. ITAM is homeless. Part of IT? Procurement? Finance? Governance? Or should it have a place of its own? 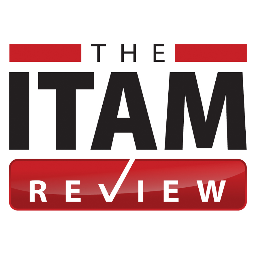 ITAM is necessary for cost and risk reduction, but it has yet to find a comfortable home in most organizations. ITAM is growing. IT networks are becoming more complex, incorporating not just servers and desktop PCs, but virtual machines, laptops, tablets, mobile phones, and even refrigerators. At the same time, IT budgets in many companies are being decentralized and distributed across departments, making it easier and easier for end users to access or download software on their own. The result is that many organizations are far more exposed, in terms of license compliance, than they realize. As the consequences of this exposure hit businesses, academic institutions, and government organizations one by one, the need for SAM and ITAM programs steadily grows. It’s all about the Audit. Many institutions, it seems, still have no formal ITAM tools or practices, and even though license optimization and software usage tracking help significantly reduce costs and increase organizational efficiency and harmony, publisher audits seem to be the main reason for SAM. Publishers can be vicious. I’m still not sure I understand this one fully. On one hand, software publishers are businesses that sell products to customers, so they want to create satisfying products that help their clients solve problems and get work done. In this scenario, audits are an honest way to protect intellectual property and root out fraud among the user base. On the other hand, however, there is a strong perception that publishers use compliance audits as a revenue and ultimately a sales driver, where they use intimidation and threats of litigation to bully their clients into forking over millions of dollars in penalties and new licenses. Like a dangerous, nebulous, unknowable threat in a 1980’s horror flick: The Cloud is coming. Soft skills matter. ITAM is not IT. You have to be flexible, persuasive, and able to listen and communicate in order to build the kind of internal and external relationships that lead to an effective asset management program. Compliance requires cooperation, which depends on trust and mutual benefit. If you work in the field or are interested in learning more about the trajectory of ITAM as an industry and career field, I’d definitely recommend attending the next conference. It was great to meet the people and discuss the issues that are gaining traction within the ITAM industry. Next up for me: CSAM certification course with IAITAM this week. It’s quite impressive that it just keeps working despite my neglect.